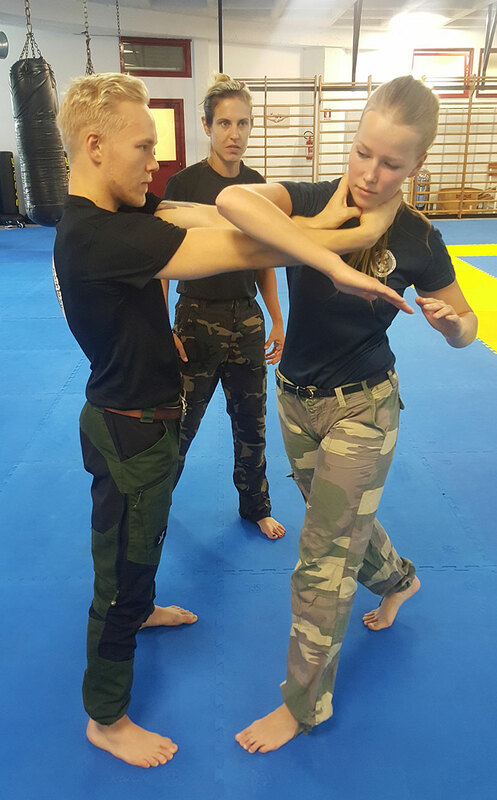 Learning martial arts wasn’t always my dream – actually it has never been. I ended up starting Muay Boran by accident, and I never really thought it would be something for me. But on the contrary, I found a hobby and a passion that I’ve practiced for almost two years now. Even though I’m still a beginner, this martial art has already taught me much more than I could have ever asked. I feel now more safe, confident and healthy than ever before, thanks to several factors. I want to share my experience of the prejudice that I had and how they suddenly disappeared one by one. Firstly, before starting Muay Boran I thought that training martial arts is a way for certain people to get rid of aggression. Instead, among the practitioners of Muay Boran I have met probably the most calm, friendly and peaceful people I could ever imagine. After starting to train I noticed how much balance the art can bring to one’s life. If anyone starts Muay Boran in order to practice it aggressively, her or his spirit is about to change quickly, or she/he will soon be gone from the training. In this peaceful and supporting environment I’ve had a great opportunity to explore the unknown field of physical conflict and learn to cope with it. I have begun to learn many straightforward techniques to defend myself with in an extreme situation. I have never fought in my life, and I had absolutely no experience on any kind of physical conflict before I started this. Unlike I could ever have imagined, I love this art. Learning Muay Boran has enhanced my feeling of safety and turned my prejudice of martial artists upside down. The second thing is, I supposed that martial arts are something very serious and definitely not fun. I thought that the discipline means that the training has to be monotonous or very repetitive. Quite the contrary, training is very enjoyable, versatile and delightful. I have made lots of new friends and I really enjoy going to the training. This passion I have found takes me to the gym by bike even when it’s -25 degrees outside, or when I would have the temptation to just stay home and chill. It seems clear that the art interests me and I enjoy practicing it. Consequently, Muay Boran has enhanced my physical condition very much. I have crossed my limits, spurred my training partner to give her or his best and been exhausted by the hard training, which every day makes me a bit stronger than yesterday. I had no idea, how hard it’s possible to train with only body weight – and that all of this can be fun as well. What kind of sports I would have missed if I hadn’t happened to find Muay Boran! Lastly, I had the idea of martial arts being very masculine. For some reason it never occurred me that it’s not about punching the hardest and showing others your superior skills. On the contrary I have learned that humbleness, preciseness and persistence are much more valuable traits in practicing the art than just masculinity. I have had the opportunity to learn from great masters and teachers who have loads of knowledge and the right spirit to practice martial arts. This has played a big role in dispelling my prejudice. For me it has been important to learn from a female master, which has enhanced my own belief in my capabilities. If she can do great and incredible things, then I believe stronger that I can do the same things someday as well. In general it doesn’t matter whether the master is female or male as long as she/he is qualified, but for me it has helped to cross some boundaries and prejudices I had in my head. Learning from her has given me the confidence that there is space for women in the field of martial arts just as well as for men. Practicing Muay Boran has brought me a lot of self-confidence and belief in my skills which applies also outside the gym in everyday life. I have crossed my boundaries so many times that I didn’t know would be possible in just two years. This has enhanced my confidence not only in sports but in many different areas, too. I feel like I have employed the spirit of the art in many things that I do on a daily basis from relationships to studies and work etc. Maybe this is the beginning of finding the mystical balance that martial arts seems to create in its practitioners. To sum up, the old and odd picture that I had in my head about martial arts has come down with a crash. I am more than happy to have found Muay Boran to fulfil the need I didn’t know I even had. I want to sincerely thank everybody and especially all the masters and teachers who made it possible to start this journey and continue it with passion. I hope that sharing my experience may encourage people such as I was before to give Muay Boran a chance. So don’t think it’s just for certain aggressive people. Don’t think it can’t be funny. And don’t think it’s too masculine. Because none of this is true. There is a whole world of knowledge, skills and balance of mind to be found in this art, but you have to go and see for yourself.